Soo, finally I get round to making a progress log. Better late than never I guess! Last december I sold my Civic and started looking for something with a little more umphh. 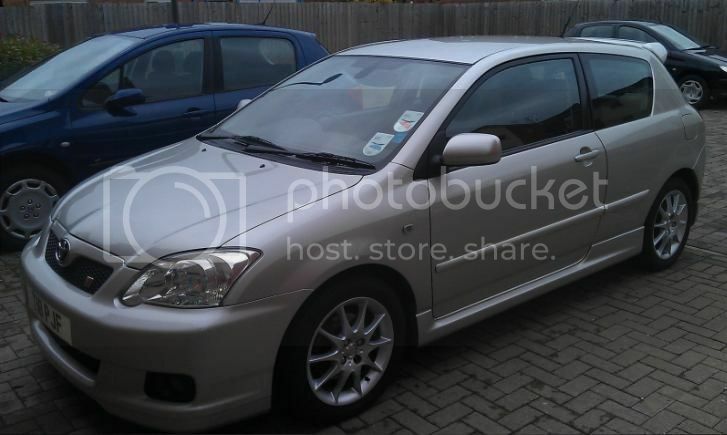 After a few disappointing viewings I finally found a well kept 2004 Toyota Corolla T Sport (Facelift) 190hp. The chap I bought it from had owned it since 2005 with one owner before him. It had a full Toyota service history and after our resident test driver Mr. Wood had given it a thrashing we decided it was a good buy! 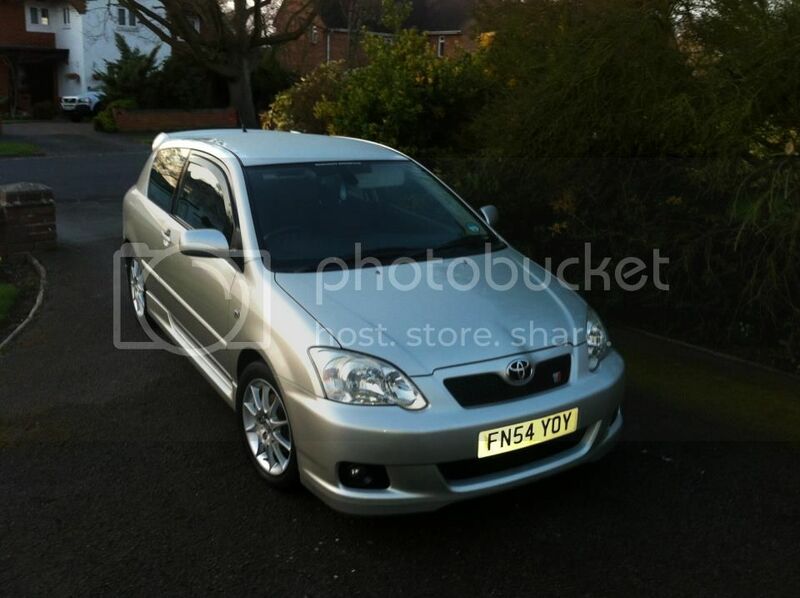 Here is the car when picking it up from Nottingham.. 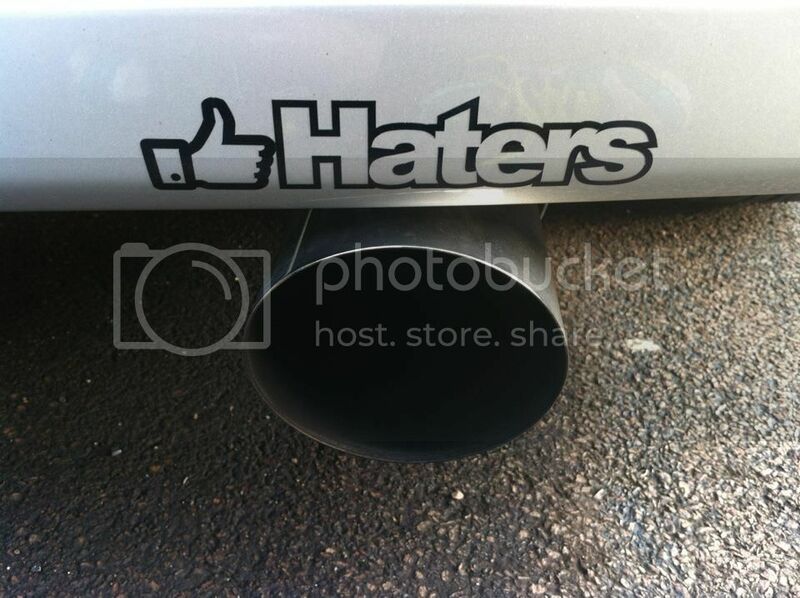 When I had given the private owner of the car a deposit I ordered the first mod! A little bit conservative but hey hoe lol.. Team Heko black plastic wind deflectors. After having the car for a month or so I received my next instalment of student loan and decided it would be rude not to invest in another mod! 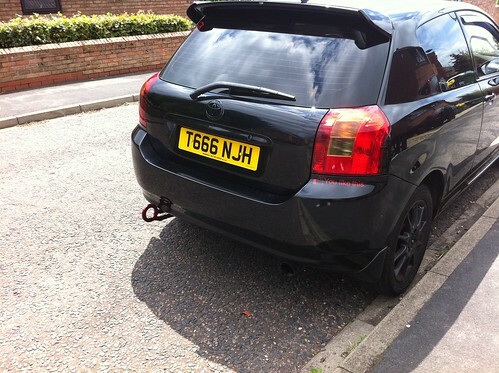 I chose to buy something I haven't bothered with on previous cars and invested in a custom made stainless steel Cat Back exhaust system with 4" Jap Style tip from MIJ Performance in Walsall. Shortly after this, I took the Corolla to a WM rolling road session at DYNODAZE, the car peaked at 186bhp on it's second run. Considering it's 8 years old and was in desperate need of a service I was pretty pleased to see it was running 3 BHP less than factory. 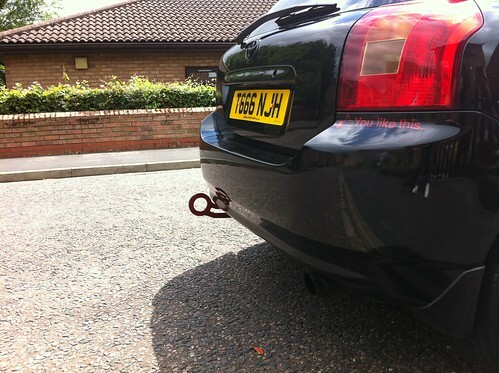 Having killed off most of my loan with the exhaust it was time for a couple of smaller installs. I picked up a couple of Extreme brilliance headlights from halfords, LED White sidelights and was also kindly given a pair of Silvertech black look indicator bulbs by our resident Russian Vlad. 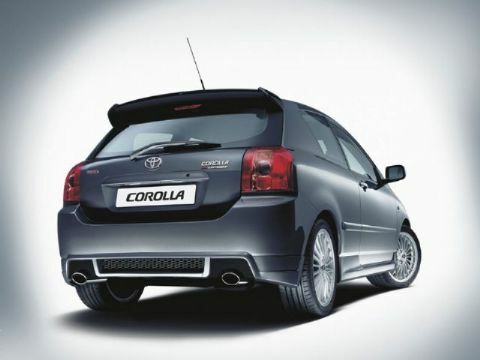 Now with a bit more cash, it was time to correct a problem which Toyota created by making a 'Sport' model of their Corolla sit on suspension which more closely resembles stilts. Same old story, as a student I couldn't afford coilies so I searched the internet for the biggest drop I could get on springs. After much research it turns out the largest drop possible on the facelift (which is already 15mm lower than PFL) was 30mm. So I bought the set of H&R lowering springs which were delivered promptly and fitted by Penry Beacham. The springs didn't leave the car 'slammed' by any means.. instead they brought it down to a height which would have been more suitable for the car when it came out of the factory. Much better stance. 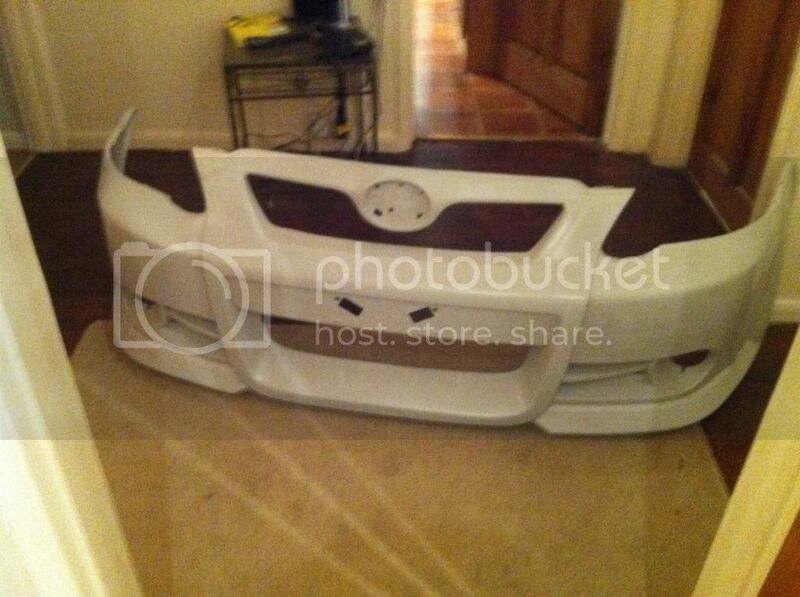 Lastly, a tip off from a member of the Corolla owners club told me that a rare TTE Front bumper had come up on eBay. TTE went out of business years ago which is why it's so hard to get hold of their parts. I believe the TTE front bumper was an optional extra on the supercharged version of the T Sport. I contacted the seller, agreed a price and drove to Manchester the same night to collect it! 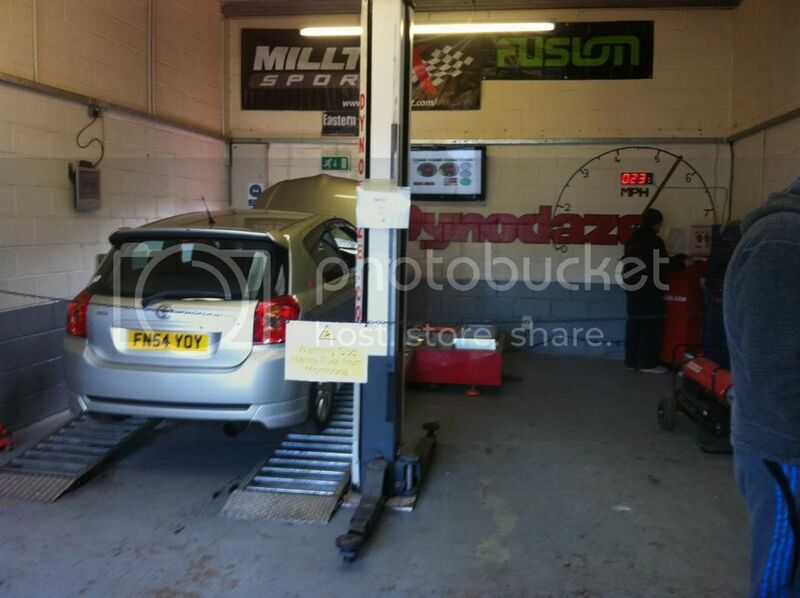 I dropped it off at WCC Bodyshop, in hope of getting the bumper painted and fitted at mates rates. They took about 5 days too get the job done and then had the car in for a few hours to fit it. This is the car, to date. p.s. what did you do with your old bumper and fog lights? I'm going to keep an eye out for some fogs that will fit it but I'm not in any rush. 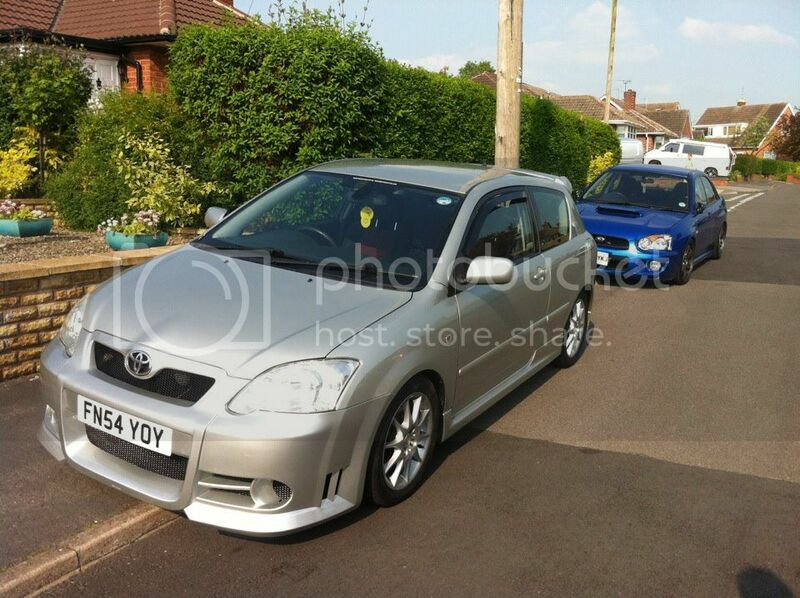 I'm actually quite liking the look of it without fogs. 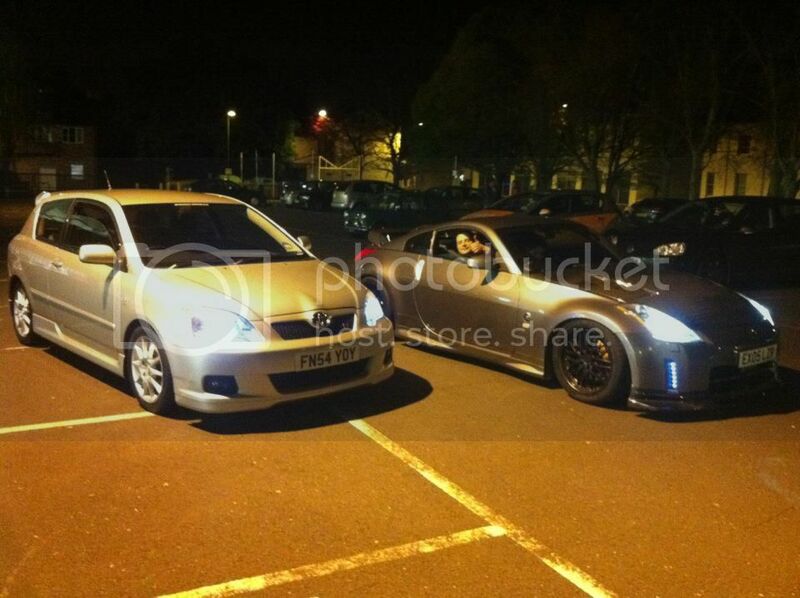 A few of the guys on the owners club have fogs in their TTE bumpers and I'm kinda liking the look of it without them. I considered tints a while a go too, but I've decided I'm going to keep away from them. Looks a bit different without tints because the majority all have tints. Looks kinda tidy with the clear windows.. I might photoshop some very light tints and see how they look but I'm not too fussed about tints. Thanks again for the feedback bro. 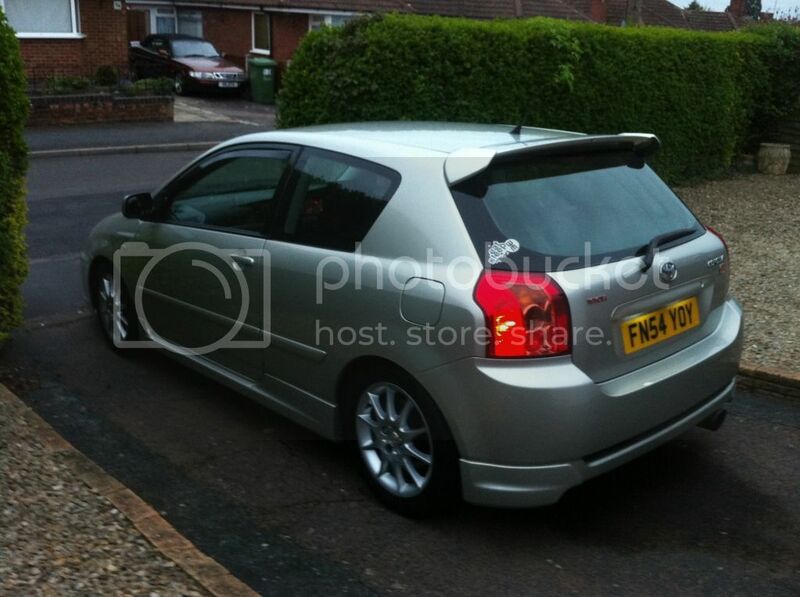 I can see what you mean Mike about the tints, a guy on the forum got rid of his on his corolla as he likes the cleaner tidy look so I can see where you're coming from plus when you put JDM stickers on the rear window it looks much nicer too ...talking about JDM have you considered a JDM tow hook? oo yeaa I got that yellow and green JDM sticker but dno where to put it.. I think it will look a bit gash cause I can't find a good spot for.. What's the JDM hook like? wow £47! .. thats dirt cheap.. the only other one ive seen sold for £150! .. 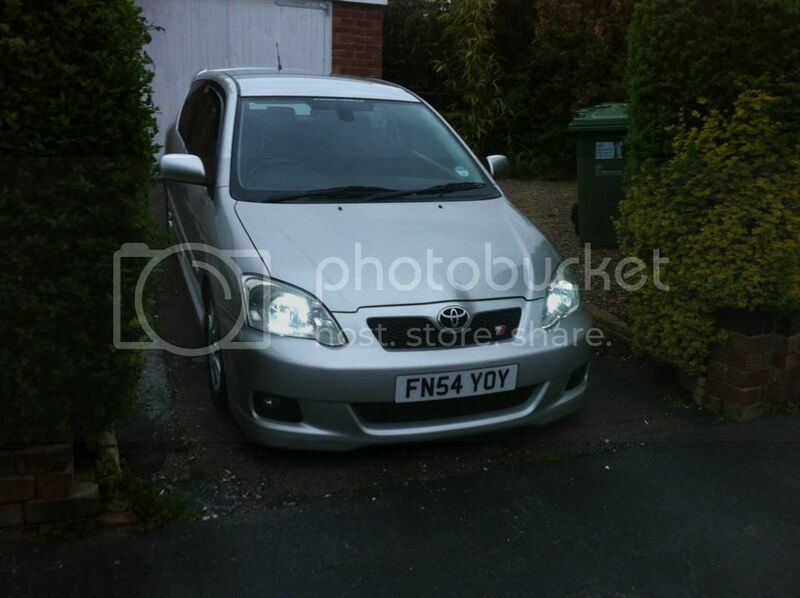 The reserve on it £100 bro, includes everything except that badge. Where you thinking of getting one? Oh that could work out well for you! You need new lights just like me so you should get facelift lights and a facelift bumper! Nice and subtle mike. Looks really well!